Working with actors and actresses was not as glamorous as I thought it would be when I started working in the movie business. At first, I was star struck. 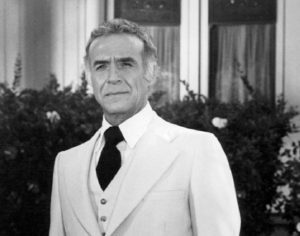 When tv stars from my favorite soap opera of the 80’s, General Hospital, walked into our lobby at the talent agency, I will be the first to admit my jaw probably hit the floor. Luke? Laura? My gosh! For a 22-year-old newbie working in Hollywood, that was the epitome of coolness! 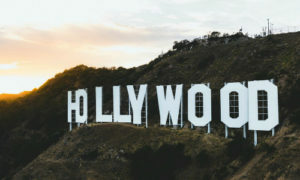 I graduated from college in May 1989 and started working 48 hours later at the Hollywood talent agency that packaged the blockbuster and revolutionary show that started the “reality tv” phenomenon, America’s Funniest Home Videos. The show first aired in November 1989 and I feel privileged to have been part of the agency during those early years of excitement. I was even fortunate enough to attend one of the early tapings of the first season show with the original host, Bob Saget. Some of my favorite memories at the agency were when Ricardo Montalban walked through the door of our office, asked my name and I timidly replied in a cracking voice “Sheri”. I almost fell off my chair when he used his hypnotic voice to tell me I had the most beautiful dimples! Or when the accomplished character actor Henry Gibson walked in one day and told me I looked beautiful in purple. Or when Tarzan phenom and hunky heartthrob, Joe Lara walked into the room and gave me a hug, I thought I would faint. Where was Social Media when I needed it? What a Facebook and Instagram feed I would have had back then! Haha! These actors could work a room with their charm and their compliments and I was not immune to their dazzling presence. But the pressure of the fast-paced wheeling and dealing that happens in talent agencies in the entertainment business was not all glam and star-struck moments for me. I vividly recall running up and down hallways while wearing my high heels – trying to grab together the glossy 8x10s of actors and actresses and putting together packages to rush via courier to casting directors with the hope of getting our talent first shot at the next big television pilot or feature film with the hottest producer or director of the day. I often wish the talent knew how hard we all worked collectively as a team to get their names, photos and portfolio of work in front of the movers and shakers in the business. 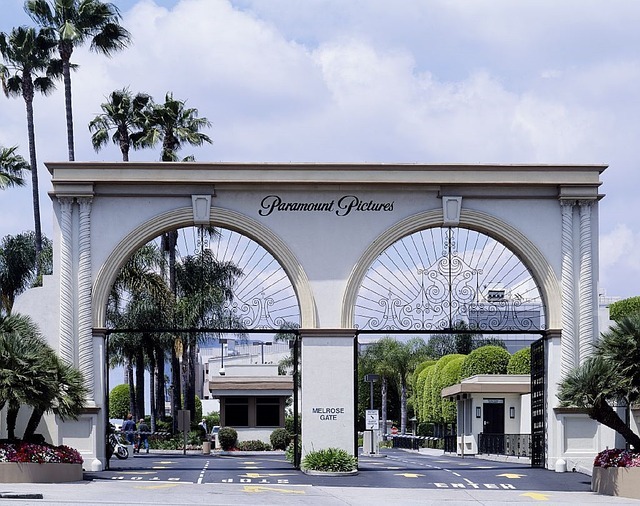 I also will never forget picking up the office phone when a certain Bond girl actress was screaming because a studio parking lot guard would not let her onto the lot to read for a role in a Star Trek film. She was yelling every obscenity she could think of at the guard as I sat helpless and bewildered on the other end of the phone line. She subsequently lost that role to the iconic fashion model, Iman and I am thankful I was not on the receiving end of that phone call when she received the bad news. 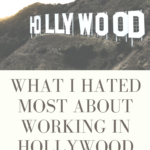 The stories I could tell about my time working in Hollywood are endless. But the stories I don’t tell very often are the ones that were everyday common… everyday routine. The daily ins and outs of handling call after call from actresses was an exercise in patience. As a young, woman in my early 20’s with a super high level of confidence, I didn’t really identify with these women at all who were older than me. I didn’t really understand their reality at first. Their struggle seemed foreign to me. But now as I look back, I see things so differently. Some of the toughest calls I fielded were from a female character actress named Leslie. She wasn’t the super model kind of “A role” actress that you may envision in your mind. But rather I thought of her as the girl next door with her gorgeous red hair and slightly freckled skin and somewhat athletic build. She was the kind of person you would walk by on the street and maybe never notice. She was very ordinary. I don’t say that to be mean or catty at all. But that is why she was perfect for so many character roles… she could be ANYTHING or ANYONE in a tv or film role. She could dress up to be striking and gorgeous or she could look homeless and destitute. Leslie and I had a great phone relationship. She would call and vent and I would listen. I mean, that was sort of my job. And she called me a lot. I certainly earned my pay. I used to listen to Leslie tell me her experience week after week after week. She would say they told me I’m not pretty enough. Or they told me I’m too tall. Or I’m too short for the role. Or they think I’m too heavy. Or they think I need to gain more weight for this role. Week after week she was told she wasn’t enough. Not thin enough. Not pretty enough. Even too pretty on one occasion I recall! Can you imagine a job where you are told how inadequate you are day after day after day? If you have struggled with being told you’re not enough… or feeling that you’re not enough… or worrying about what other people think of you, watch the live video I did recently on my experience in Hollywood and the lessons I learned from Leslie about women and how we handle thoughts and messages of inadequacy. If you’ve lost yourself, you can find your story again. Think about Leslie. Find your resiliency like Leslie did. Find your inner actress! YOU matter. YOUR story matters. Don’t let the negative comments or thoughts keep you down. Leslie didn’t let that stop her. She got up every day and kept putting herself out into the world. She was brave. She kept showing up. She kept trying. She had a dream and goals and she kept fighting the negative comments and thoughts she must have had. She just kept going. Have you struggled with negative comments and thoughts too? Has it been a tough year? Maybe a tough decade? Maybe you’ve put yourself on hold for 20 years like I have? Leslie had dreams and goals she was chasing. Was there a time in your life when you had those too? Write about it – write about your dreams and goals. Whether they are from 5 years ago or 20 years ago… write them down. Find things that that used to make you smile and used to bring you happiness. Start being mindful about remembering and recounting those times so they can breed new and happy thoughts and ideas. Happiness breeds more happiness! So, tell me this… what are your dreams? What are your goals? What would you like to do or create or accomplish that you haven’t done yet? Or what’s the biggest dream you ever had? Leave me a comment below!